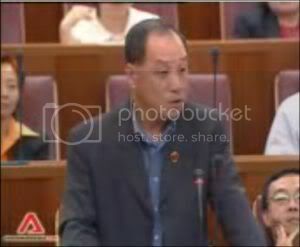 The following is Mr Low Thia Khiang’s speech in Parliament where he questioned the Ministry of National Development on the Lift Upgrading Programme. Sir, I note that prefabricated metal lift shaft is commonly used now instead of ferroconcrete lift shaft under the LUP. The Minister has also mentioned in this house that this change would reduce the total cost of construction arising from faster construction and lesser need for foundation. I would like to request the Minister to provide a detailed breakdown of the cost reduction and how much this translates into savings for the HDB, the Town Council and the residents in terms of dollars and cents. I also would like to know whether metal lift shafts would be the choice for all future LUPs? If that is so, would the use of steel, which by nature is a better conductor of heat, increases the breakdown frequency of the various heat-sensitive mechanical and electronic components of the lifts? This will have implications on maintenance cost. As Town Councils and eventually the residents are responsible for the cost of the maintenance of lifts, are Town Councils given the choice to decide the type of lift shafts they prefer under LUP? Hougang Town Council recently called for a tender to replace 54 numbers of lifts to 26 blocks of flats but MND informed the Town Council to prepare financially for the coming LUP in Hougang Estate. Although the objective of the government is to complete the LUP program by 2014, MND has not informed the Town Council the planned commencement and completion dates for the Hougang LUP. Sir, such information is vital for Hougang Town Council to plan and accommodate works by the HDB so as to avoid wastage of the Town Council’s precioys resources. Such wastage of resources was experienced in the ongoing demolition of the HDB blocks at Hougang Avenue 3 and 7, just a mere 7 years after the lifts at these blocks were upgraded at the cost of some $400,000 to $500,000. The Hdb refused to reimburse Hougang Town Council the costs for the unexpired cyclical period. Had Hougang Town Council been informed of the plans of the government, the money could have been saved and put to better use.